The official unofficial site of the Ship. Made and maintained by the crew and the Friends of the Kathleen & May. Built in Connahs Quay in 1900 and named "Lizzie May". Sold to Martyn Fleming of Youghal Ireland in 1908 and re named after his daughters Kathleen & May". Working the ports of western England , Wales and the south and east ports of Ireland. Crewed by skipper, boy and four seamen, operating under sail only. Bought by Tommy Jewell in 1931 the ship had an auxilary engine fitted, the top masts taken down and the bowsprit reduced. 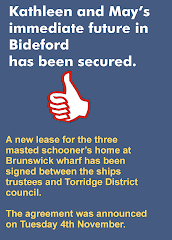 She continued trading in this manner with now only a crew of four up to 1960, bringing her last cargo from Cardiff to Bideford. Bringing to an end centuraries of transporting cargo under sail. Eleven years later the Kathleen & May was partly restored by the Maritime trust and put on show first in Plymouth then in London. 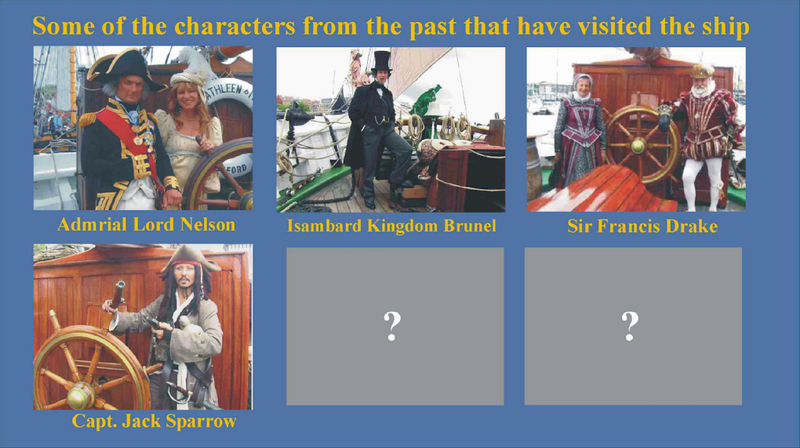 By 1995 the ship was in a seriously distressed state and required major restoration work. Lacking the essential funds the ship was closed to the public and after having the masts & spars removed was taken round to Gloucester docks to await an uncertain end. Saved in time by Bideford businessman Steve Clarke and bought back to her home port for a full restoration. For his part in the restoration and contribution to our maritime heritage Mr Clarke received the OBE. The full story of the Kathleen & May is available at only £3.00 plus postage. The ship is of historic importance, and, as the last of her type, is part of the Core Collection of the National Register of Historic Vessels (NRHV). 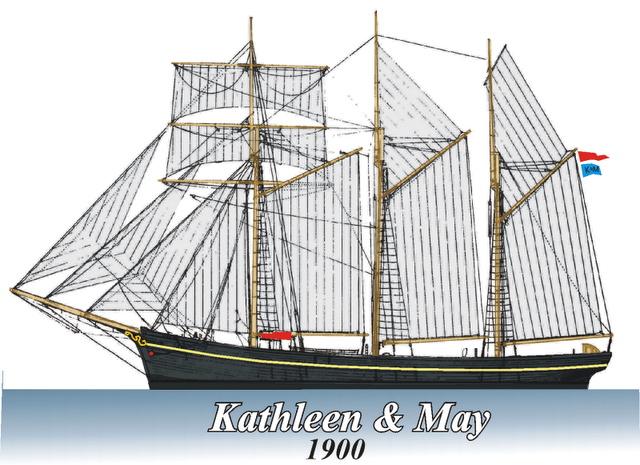 This is how the Kathleen & May would have looked between 1900 and 1930. With with square sails to the fore topmast and gaff topsails to the main and mizzen. 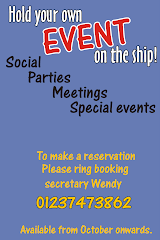 There will be an Open Meeting on board the Kathleen and May, at 7 p.m.. 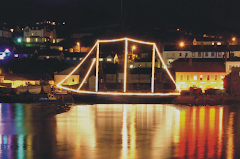 Anyone with anything to contribute to the ship in the coming year, whether it be as part of the sailing or maintenance crew is most welcome to attend this meeting. We welcome volunteers of all abilities. Please don't be shy - you never know what you can do until you try it! VIEW PICTURES OF KATHLEEN AND MAY! Please send any pictures you have of the Kathleen and May to the following e-mail address kathleenandmay@live.co.uk We would love to share your experience of her with others. 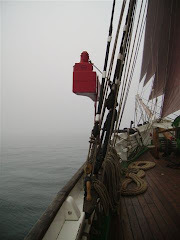 The Kathleen and May is the last remaining wooden hull, three masted topsail schooner. Built in 1900 restored 2000. Thanks to everybody who helped with the last two social events. St Patrick's night and Bill's stew night, two very enjoyable evenings. We look forward to staging more of these functions in the autum.